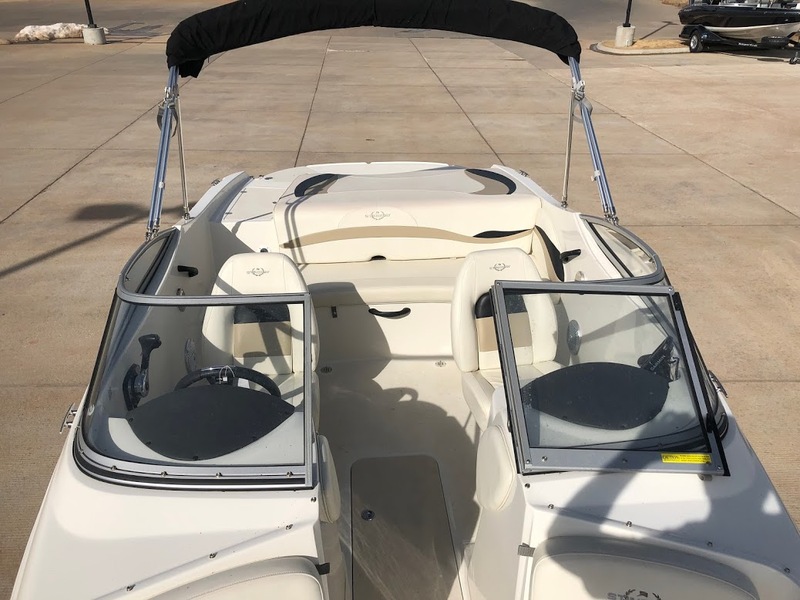 New stainless prop, new Hummingbird fish finder, (2) built in coolers, bimini top, stainless cup holders, life jackets, anchor, etc. 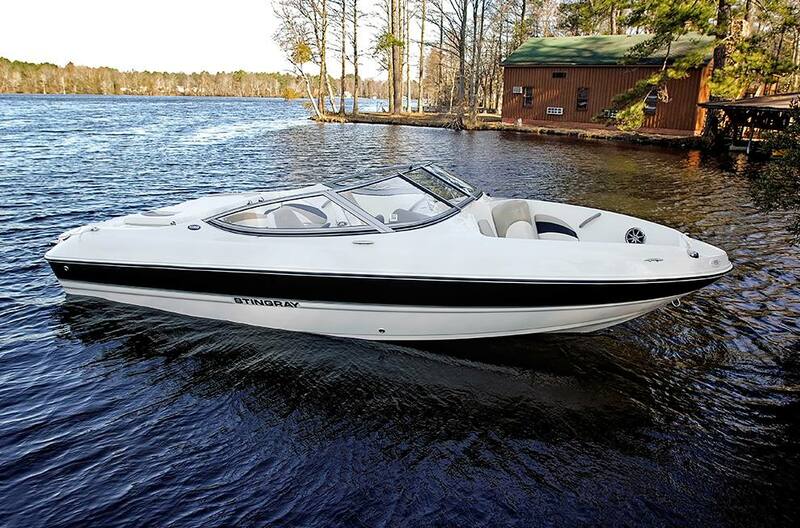 One of our newest Rally models, the 198RX hits the ground (er, we mean water) running. 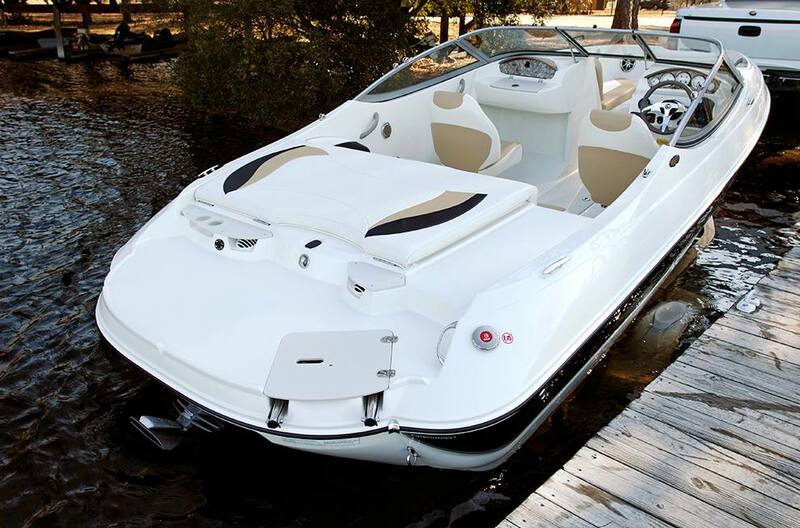 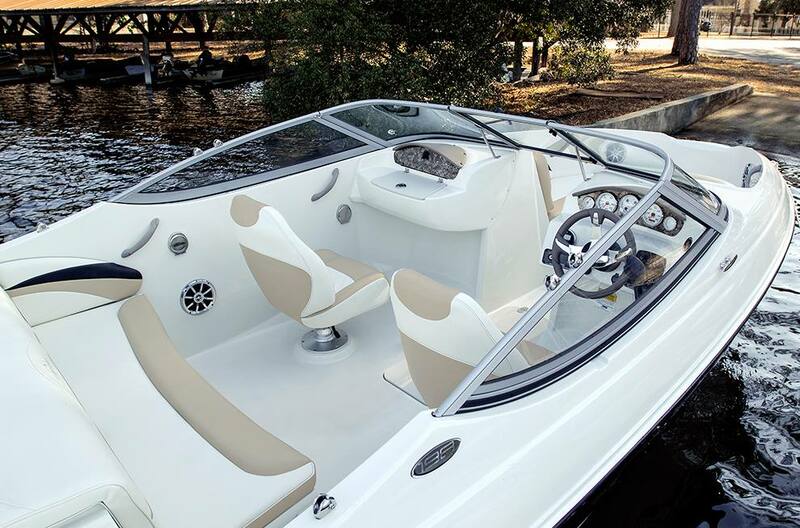 This RX model is built on the 198L hull and refined to offer a sleek and clean look inside. 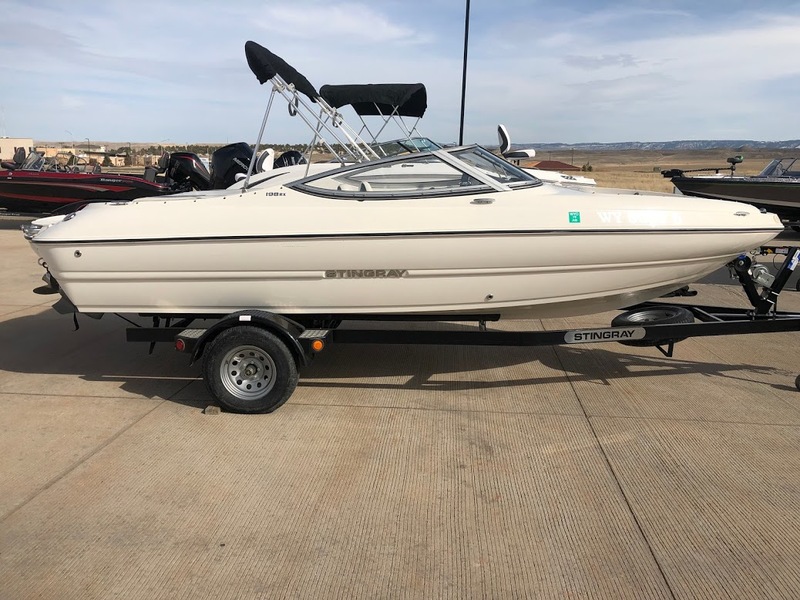 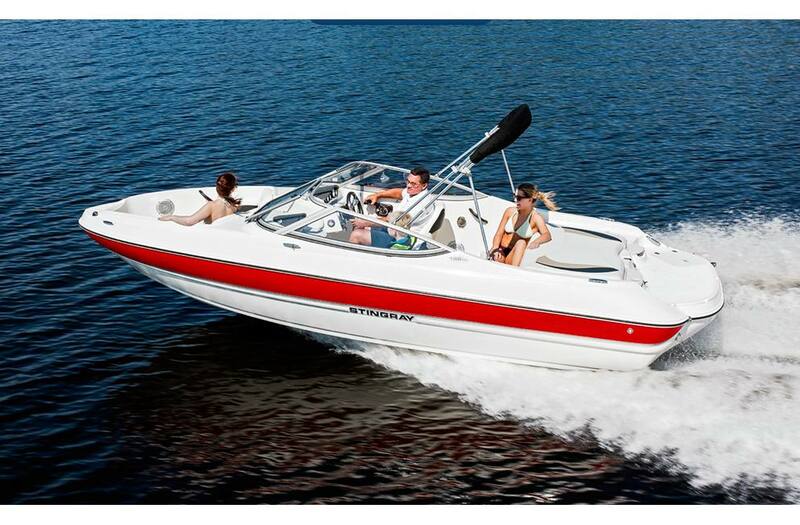 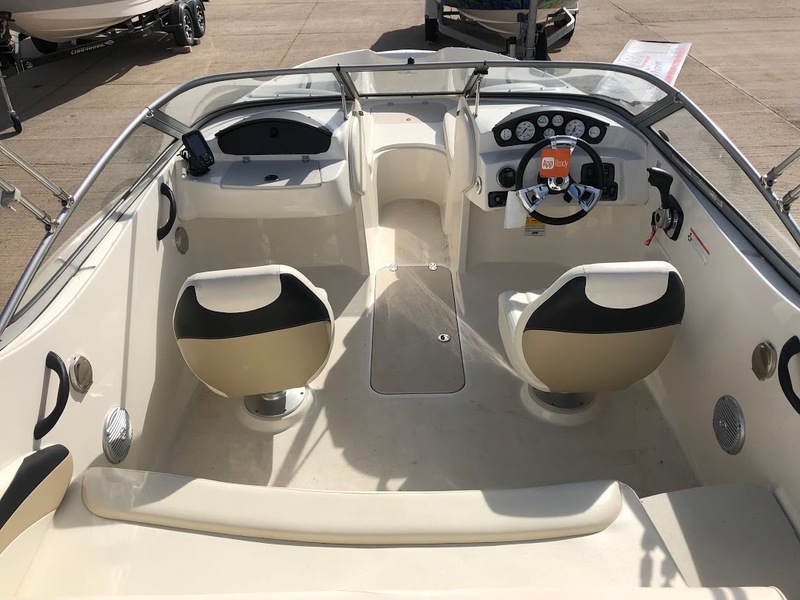 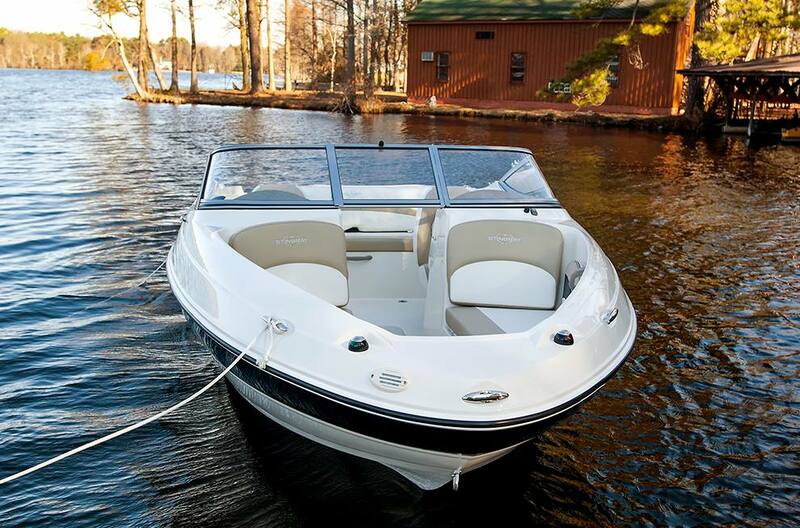 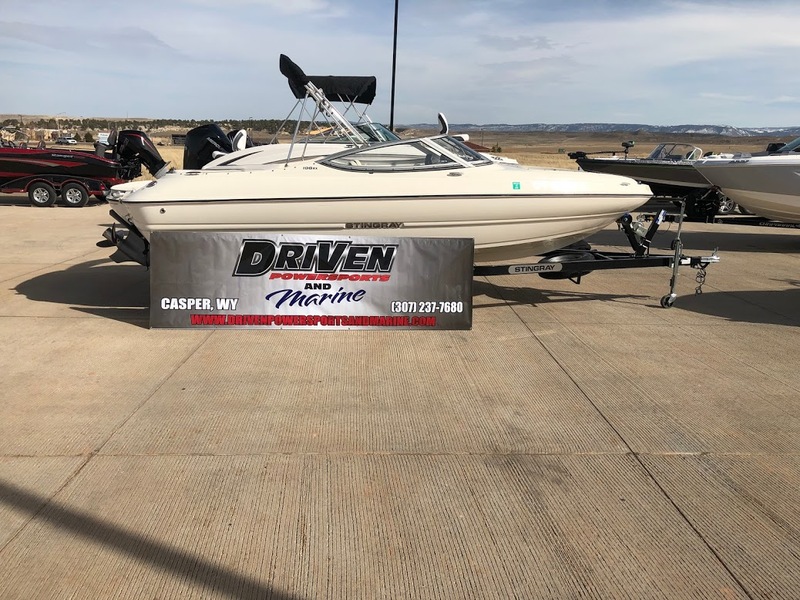 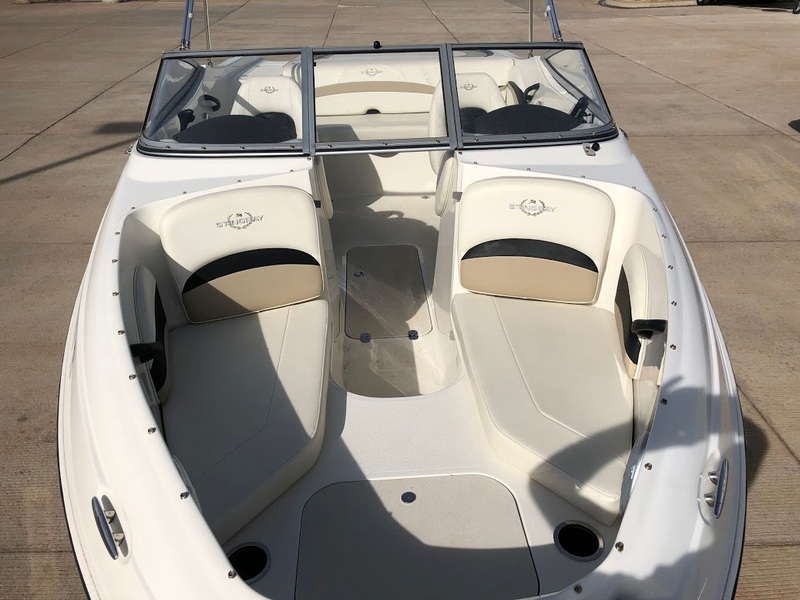 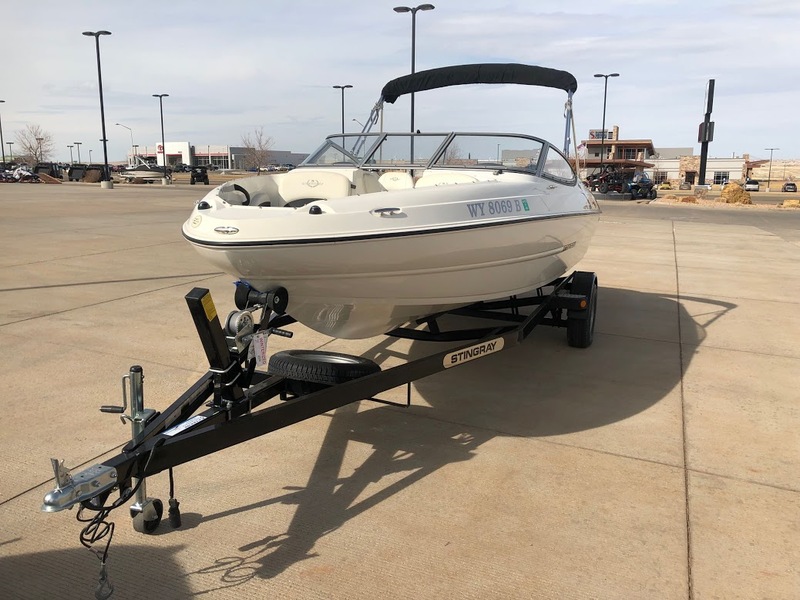 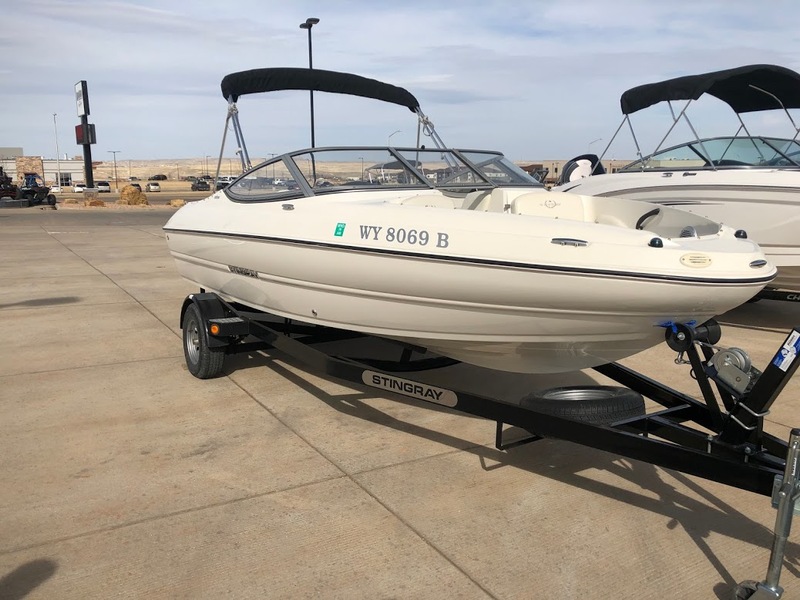 While still an entry-level model, the 198RX is aptly equipped with the right amenities to enjoy a day out on the water with your friends and family. 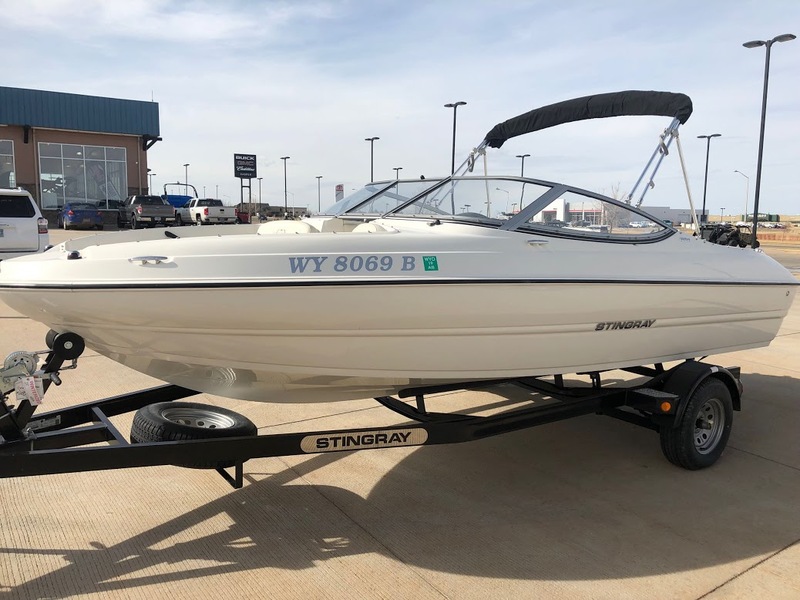 The STINGRAY line offers unmatched fuel economy, a hull that requires little power for great performance, many quality features and amenities, and competitive pricing. 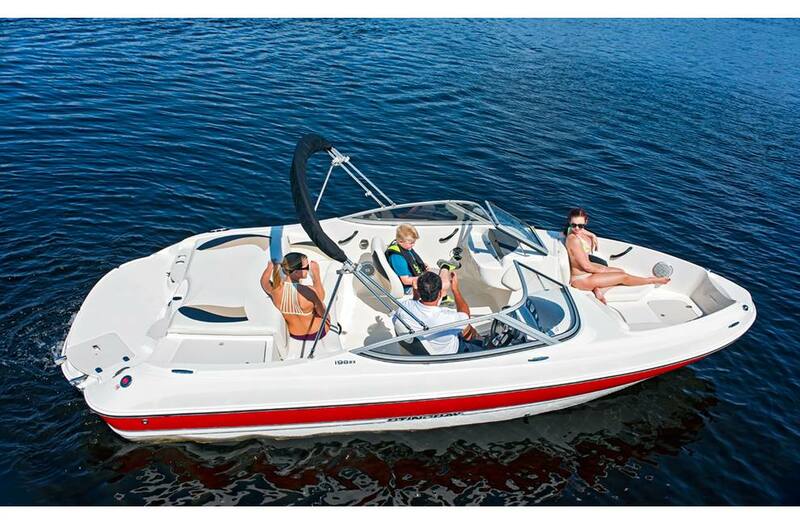 We invite you to schedule a test drive with a local dealer to see why more and more boaters are choosing STINGRAY. 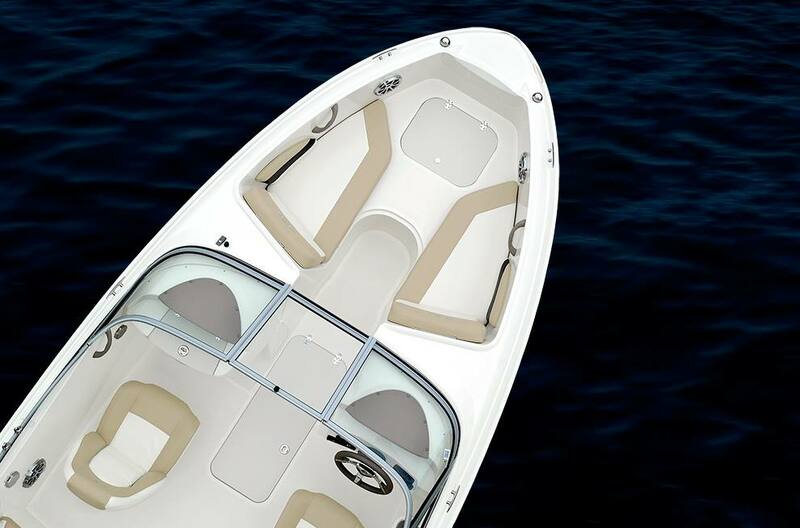 Drive Up + 5 in on V3.0 to clear bottom of swim platform. 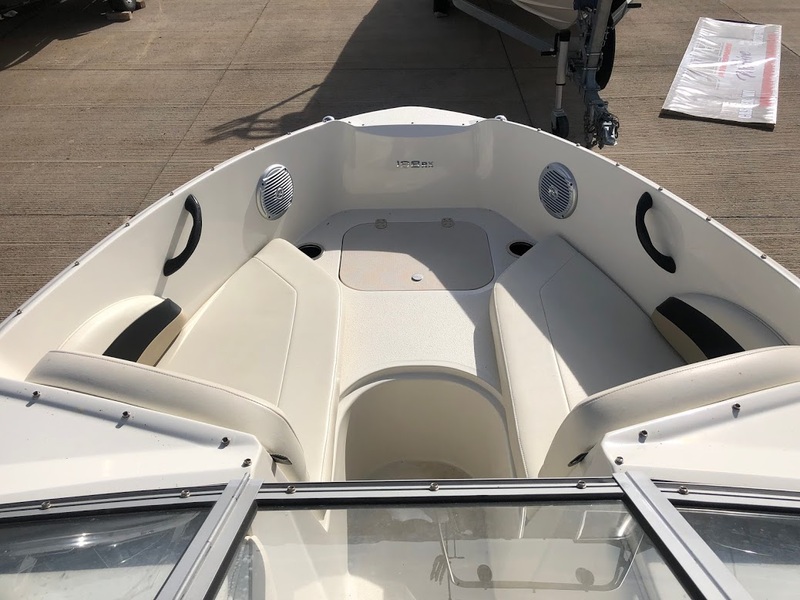 Weights vary depending on installed options. 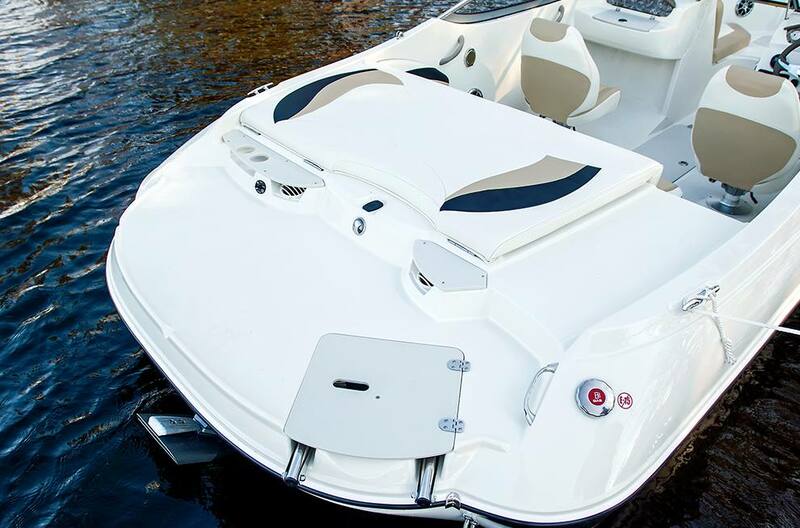 Refer to Performance Options for additional information.